1. 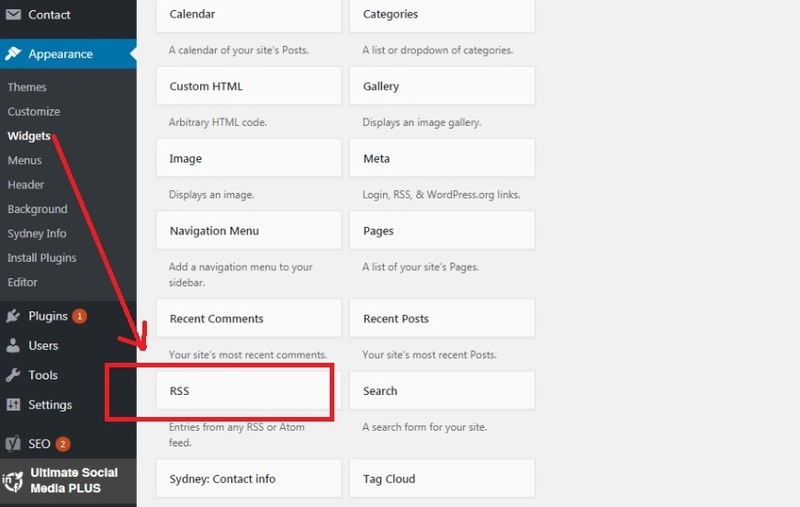 First of all, log in to your WordPress admin using WordPress login credentials and go to Widgets in the Appearance section. 2. Click the Add button next to the RSS widget to add that widget. 3. 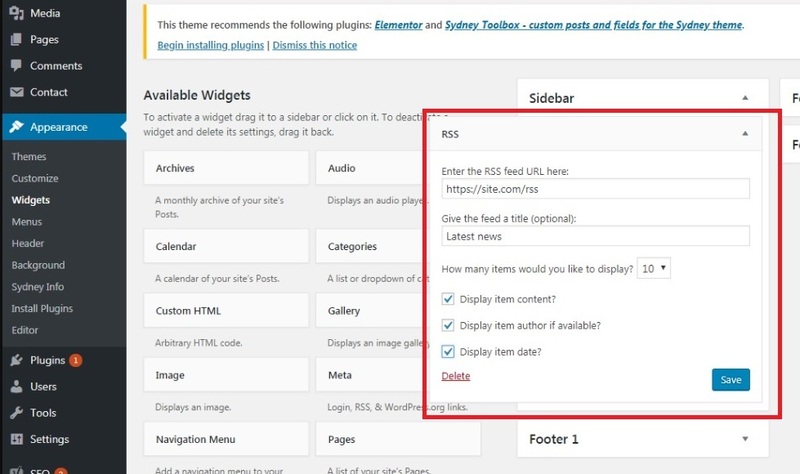 In the Current Widgets section on the right click Edit for the RSS widget to add RSS feed URL. 5. 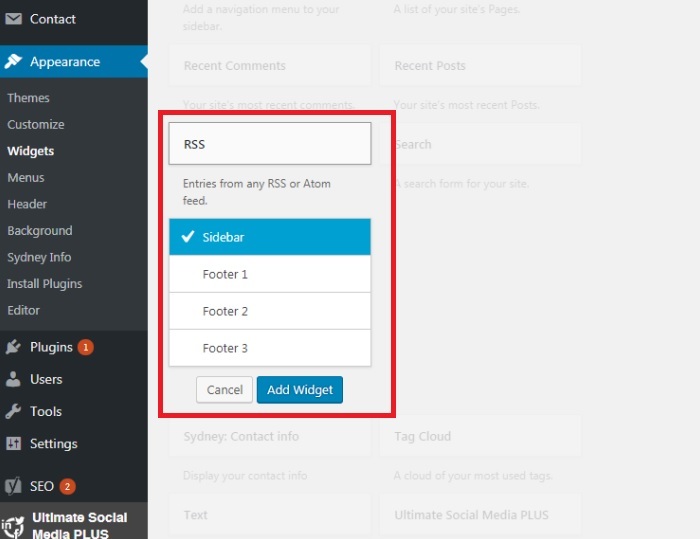 Click Done and then Save Changes to publish the RSS feed on your blog or sidebar.